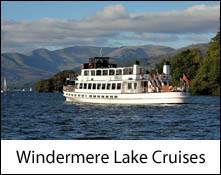 Launches operate lake cruises and boat trips in the Lake District on Windermere, Derwentwater, Coniston Water and Ullswater. 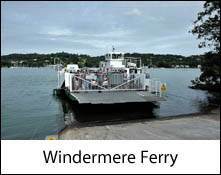 Windermere is the only lake with a car ferry. 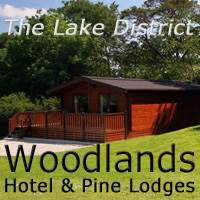 Full details for each lake cruise and launch service can be found via the individual photo icons below. 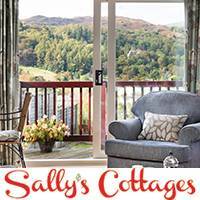 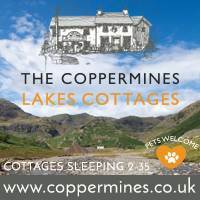 Scroll down for an overview of cruises, boat trips, launches and ferries in the Lake District and a location map. 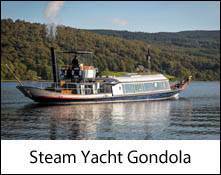 The main boat landings and passenger terminals for boat trips are Bowness-on-Windermere for Windermere Lake Cruises, Keswick for Keswick Launch on Derwentwater, Coniston Village for the Coniston Launch and the Steam Yacht Gondola and Pooley Bridge / Glenridding for Ullswater Steamers. 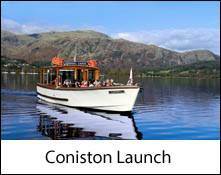 All launch services operate a hop-on hop-off service with jetties around the lakes, and special cruises as well as boat trips. 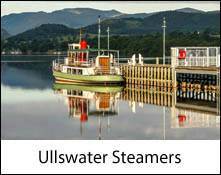 All lake cruises and launches in the Lake District also allow well behaved dogs on board, some restricting them to the outer decks and some applying a small charge. 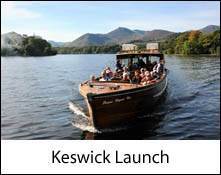 There are no ferries connecting one lake to another so, contrary to the age old local “joke”, there is no ferry service between Derwentwater and Windermere – any more than there is a cable car up Skiddaw!